Equitable property improvements return value in 2 ways: financial and life use. Real Estate professionals will tell you that items that have general inherent function add value to property. Well designed kitchens, hide-away dens, master bedrooms with views, verandas; all these "rooms" add social value (and economic worth) to almost all visitors to that home. Spas, tennis courts, pantries, finished basements, large gardens, and, to a lesser extent, swimming pools, are subjective improvements that appeal to less than 1/2 the visitors/prospective buyers, of a home. What if you turned the swimming pool to an outdoor room? When there is desire to go outside to a clean, easy-to-access patio, that has privacy, amenities, and happens to have a swimming pool, the value belongs to the home, not an extension, Because the pool is not "stand-alone", it flows with the house. Swimming Pools have come a long way from the days of sitting in the middle of the back yard with a fence encircling them! Many other outdoor improvements can be made to serve as an extension of the inside of a house: a deck or especially, a veranda; a patio attached to the house, a pergola with a patio underneath, an entry to the house that serves a dual purpose that happens to lead to the rear yard, small fenced in front garden area (Cape Cod Garden!) that limits garden maintenance to this small defined area. All these "outdoor spaces" add a limited shape and size to the "room". By defining the room/spaces limits, you apply scale. Easy accessibility creates functional use. The interception of the 3 disciplines listed above are so true when discussing truly, functional extensions to a home. 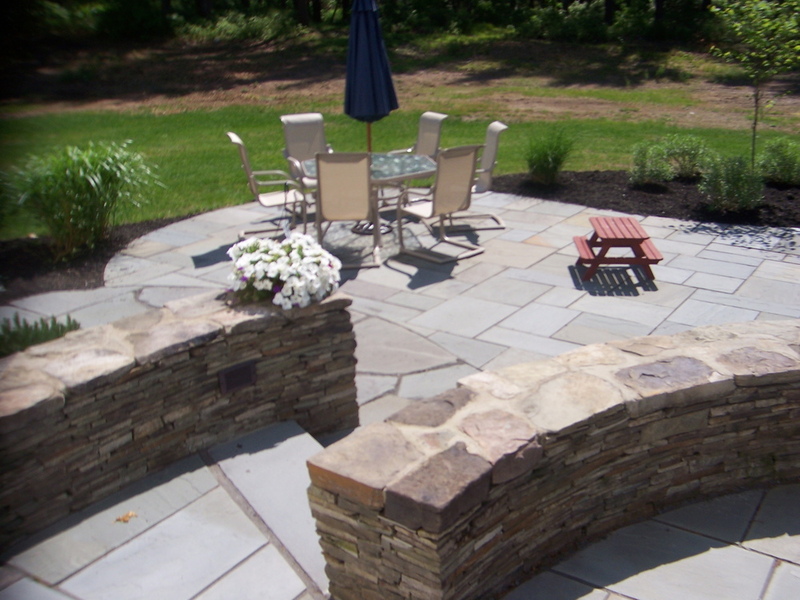 These axioms serve as the "proof" of the benefit of outdoor rooms. 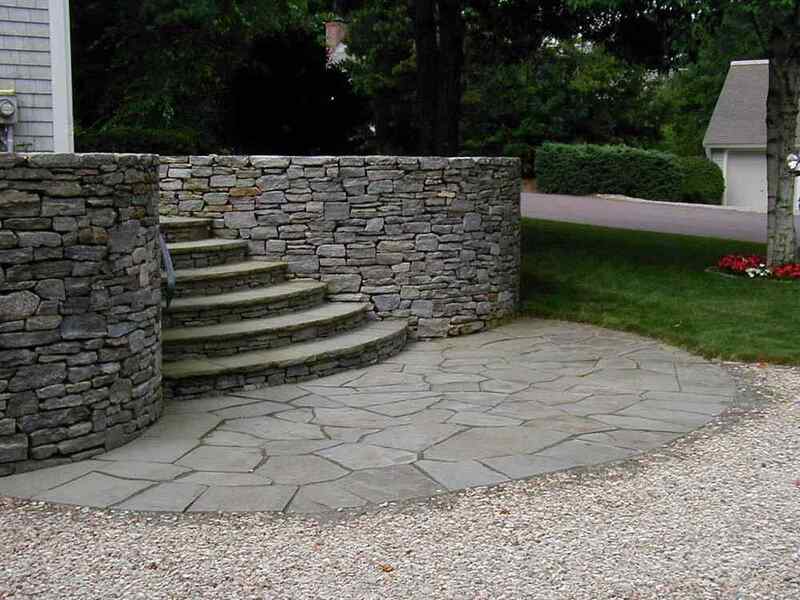 Since an outdoor room is, well, outdoors, it becomes part of the landscape. These "atrium" gardens were common to civilizations of ancient Rome and Moorish Gardens (with or without water). If the Outdoor Room has shape and human scale, architecture exists. Mating this man-made art with a garden, fulfills the truth of the axiom. Outdoor rooms come from within the home and extend to the natural environment..
What better to look out your rear slider to an accessible room that is exactly 2 steps from your living room.......AN OUTDOOR ROOM! All three components that make outdoor rooms are visible in this photo: (1) architecture in the shape of the swimming pool and patio; (2) Landscape is enclosed in a sense of privacy; (3) Gardens in the background perimeter and within this enclosed space.